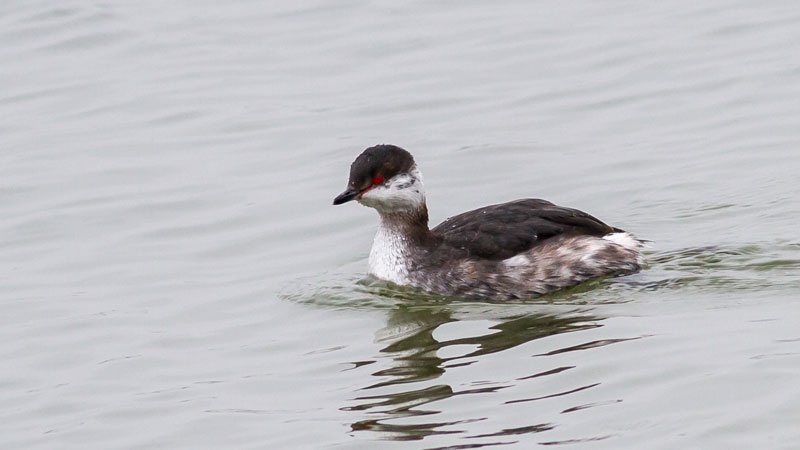 In summer plumage the long orange head plumes, reddish flanks, and white in the wing distinguish the Slavonian from the smaller, dumpier Little Grebe. 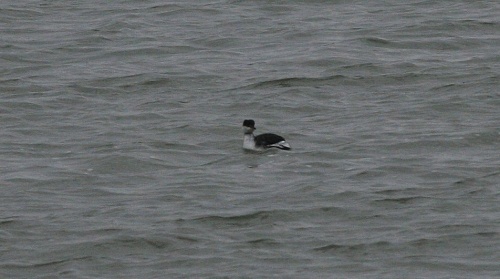 A Black-necked Grebe would have a completely black neck and obviously up-tilted bill. 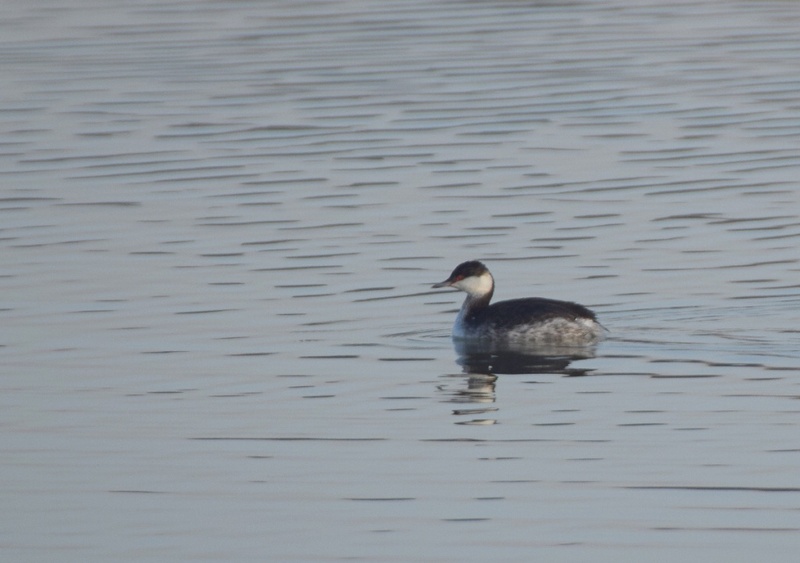 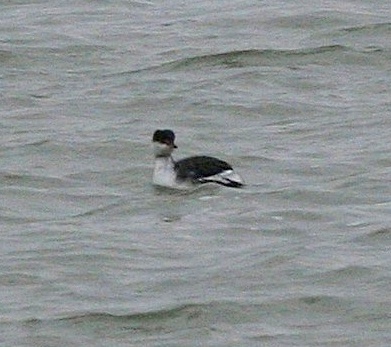 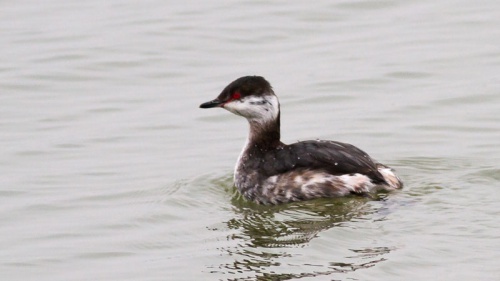 In winter plumage, the white neck and cheeks would eliminate Little Grebe and the neat contrast between the clean white cheeks and the dark crown would, along with the bill shape, rule out Black-necked Grebe. They arrive back at their breeding sites in Scotland in March and April, leaving again in late summer. Found at winter sites between October and March.